DESCRIPTION SMOKING HOT DEAL! Easy access to Crowchild and 17th Avenue. This KILLARNEY/RICHMOND beauty features 9 foot ceilings, new gleaming plank flooring, a spacious kitchen with highend appliances and granite counters and toasty infloor heating. The bright and roomy living room with a great gas fireplace and French doors that open on one of the 2 private patios. THIS UNIT IS BELOW GRADE. 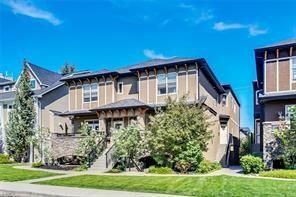 Home for sale at #2 1936 24a ST Sw Calgary, Alberts T3E 1V3. Description: The home at #2 1936 24a ST Sw Calgary, Alberta T3E 1V3 with the MLS® Number C4229833 is currently listed at $312,900.